Autism CRC hosted its Annual General Meeting (AGM) on 1 November 2018 at the University of Queensland’s Institute for Social Science Research. 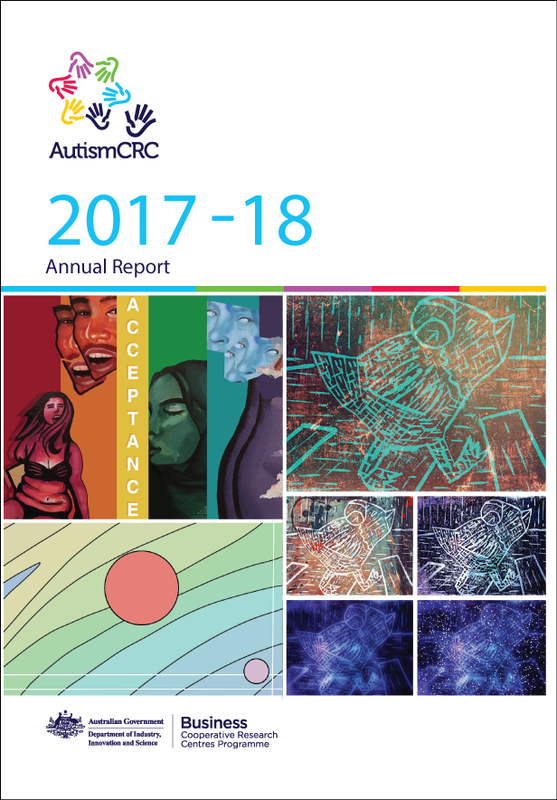 Copies of Autism CRC’s 2017-18 Annual Report were distributed at the event. Following the AGM, we held a special event to celebrate our milestones and achievements with board members, staff and participants. The event also saw the graduation of our 2018 Future Leaders and the launch of the Sylvia Rodger Academy. Autism CRC truly exceeded expectations in 2017-18. Transformational research, inclusive practices, a national diagnostic guideline, development of future leaders, employment of autistic adults and commercial ventures have significantly enhanced the autism landscape in Australia and our collaboration has provided thought leadership in the field. Program 1, Early Years, is delivering outcomes in the early identification and diagnosis of autism, then linking to clinical care pathways. The year saw the collection of biological samples and phenotypic data for the Australian Autism Biobank completed, thanks to the efforts of a dedicated team across Australia that built this unique and valuable asset. Our particular thanks go to the almost 3,000 donors that contributed so much to this work. We look forward to the Biobank better informing our understanding of autism to the benefit of those on the spectrum and their families. Program 2, School Years, is moving to translate and disseminate the resources developed for students on the spectrum, educators and school communities in urban, regional and remote locations. An online educator community of practice is being established both for the dissemination of resources and as a platform for professional development and peer collaboration. Approximately 300 schools across Australia have participated in our education program to date. Program 3, Adulthood, has also shifted into translation mode, securing external funding to greatly enhance the utility and accessibility of program outputs through new apps and tools aimed at improving participation, health and wellbeing in adult life – from aids to career planning and enablers, such as public transport, to supports for employers and healthcare professionals to establish more inclusive environments and practices. Over 2,000 adults have participated in our research on adulthood and transitions from adolescence. Australia's first National Guideline for the Assessment and Diagnosis of Autism was launched. The Guideline aims to create greater consistency in assessment and diagnosis practices across the country to ensure individuals on the autism spectrum, and their families, receive quality and knowledgeable advice. These are only a handful of the significant investments, outputs and outcomes for our program during the year. As you read through the Annual Report, you will learn of many more. These results can only be achieved by the contributions of our participants and other partners to our collaboration. The Autism CRC board and team thanks all those who have contributed towards the realisation of our vision to see autistic people empowered to discover and use their diverse strengths and interests.